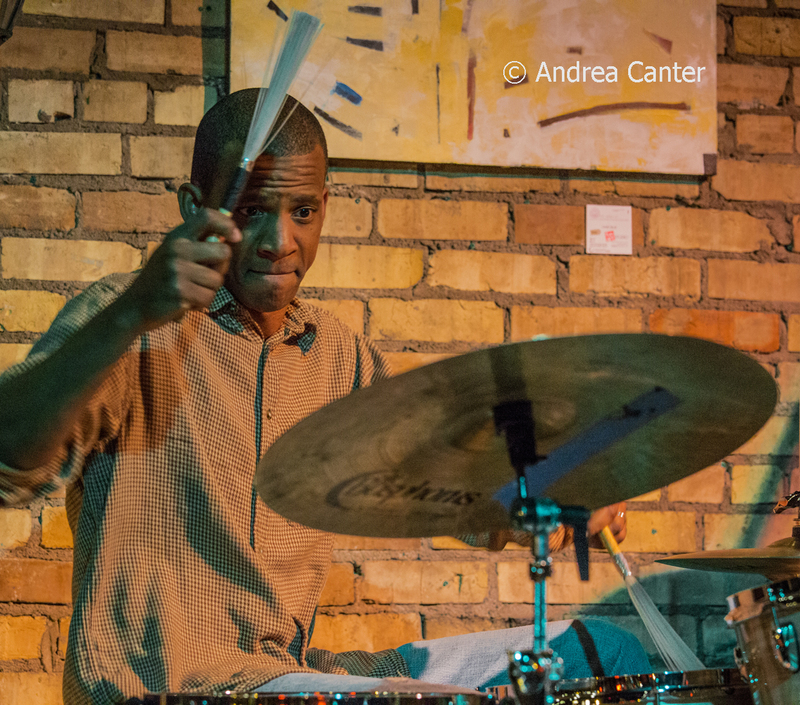 Jazz Appreciation Month ends this weekend, and there has been plenty to appreciate in the Twin Cities, culminating this weekend with the state's only registered "International Jazz Day" event, a fundraising mini-festival sponsored by Jazz Central Studios on Saturday. 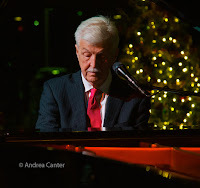 But there are more jazz events on Jazz Day as well as throughout the coming week, including a rare appearance by dazzling pianist Abdullah Ibrahim at the Dakota and the return "from exile" of jazz at Reverie, now on Thursdays. Friday, April 29. 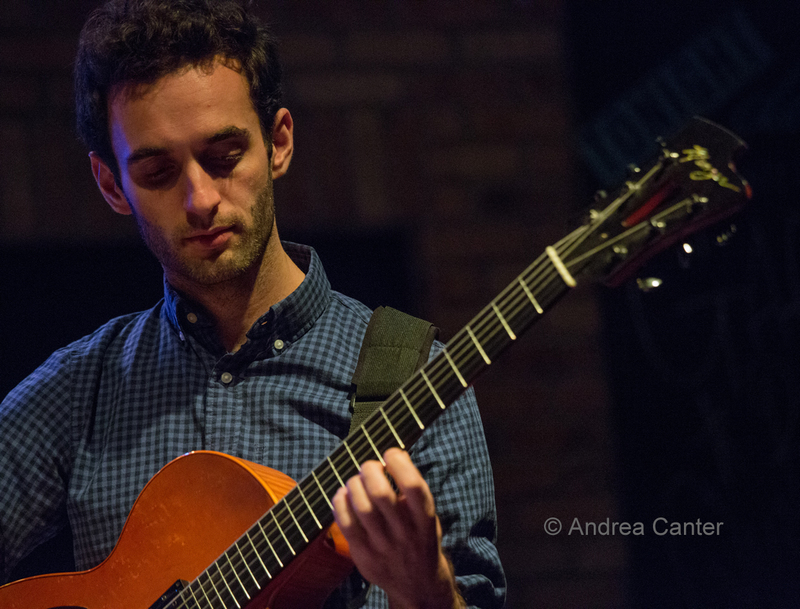 The Dakota periodically holds a "guitar night" of some sort, and tonight it's a star-studded double header, with the Julian Lage Trio back-to-back with Peter Lang and colleagues from Takoma Records days, Toulouse Engelhardt and Rick Ruskin. Lage has been playing professionally since pre-teen years and is now a 20-year veteran of acoustic and electric jazz guitar--and not yet 30. Lang and company were pioneers of the 70s fingerstyle era. A lot of guitar for one ticket. Hang out for the late show with Doug Little's Charanga Tropical, one of several gigs this week celebrating the band's "made in Cuba" recording. 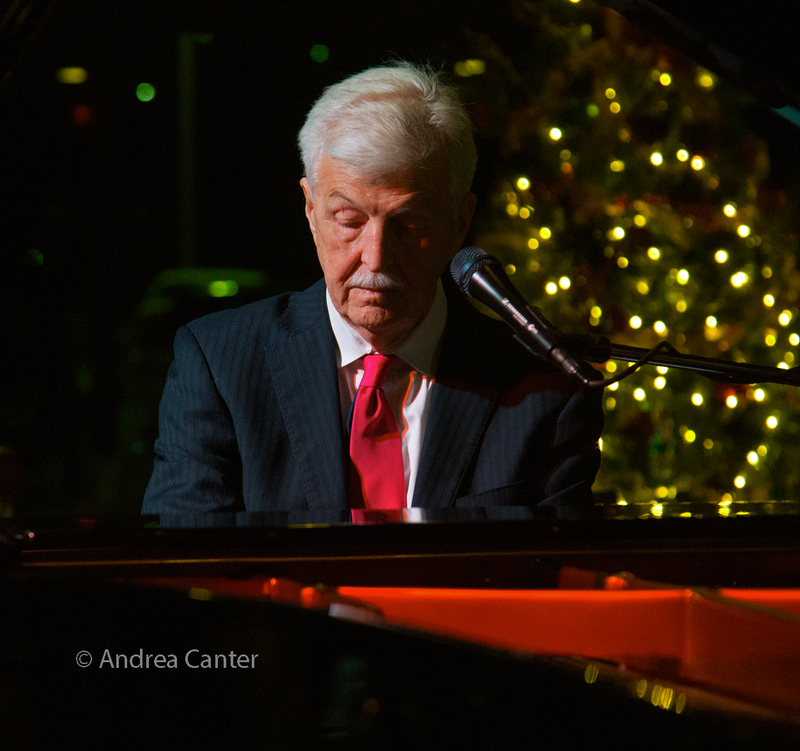 In the lounge at Crooners, Patty Peterson and her usual collection of "friends" give the weekend a jump-start, and at the Black Dog, Todd Harper's Piano Fridays feature a trio with bassist Jim Bierma and drummer Bill Stieger. 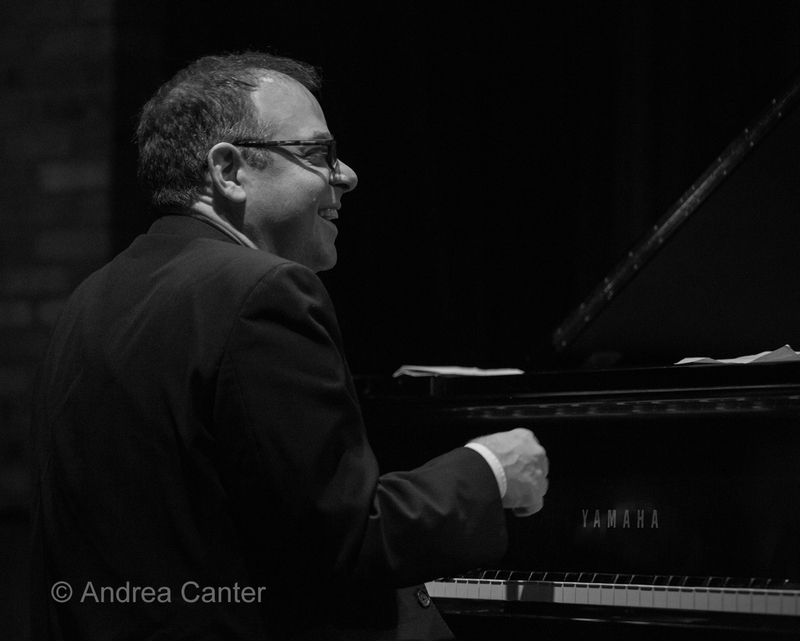 Dinner sets at the Icehouse will be accompanied by pianist Bryan Nichols with bassist Matt Peterson. Pianist Jeremy Walker opens the night at Vieux Carré. Saturday, April 30. 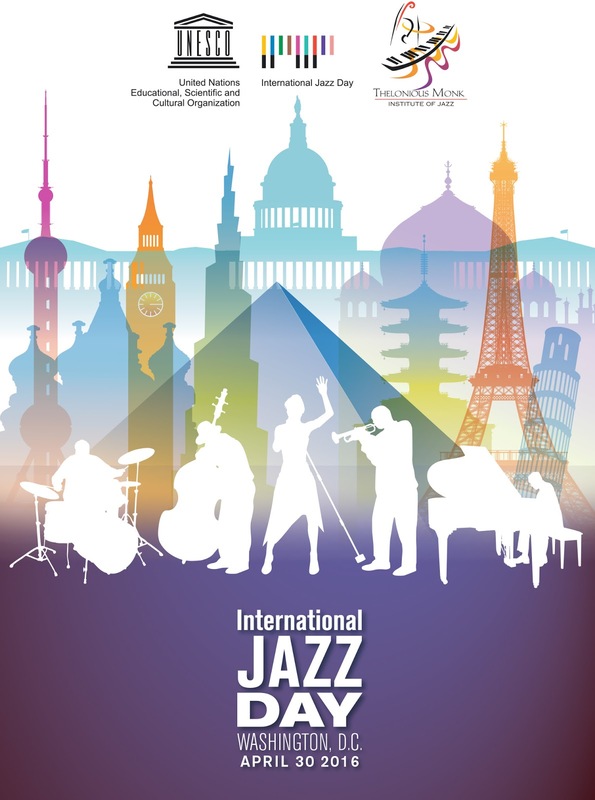 It's the 5th annual International Jazz Day sponsored by UNESCO and the Thelonious Monk Institute of Jazz, and the gala concert this year is at the White House, broadcast live on ABC this evening. There's registered events all around the globe, including one in Minnesota! Jazz Central Studios is holding a mini-fest running all afternoon (1-6 pm), held at the A-Mill Artists Lofts in the old Pillsbury Mill complex on SE Main Street, along the river. 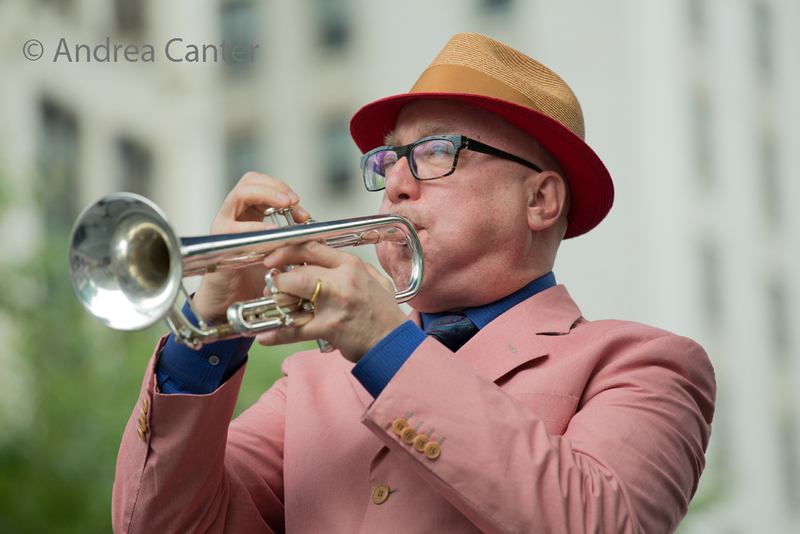 For one ticket, hear the Doug Haining/Dave Graf Quintet, Javi Santiago Trio, Vinson Velaga Group, and the Twin Cities Latin Jazz Orchestra featuring special guests, trumpeter Brian Lynch and visiting Peruvian guitarist Andres Prado. 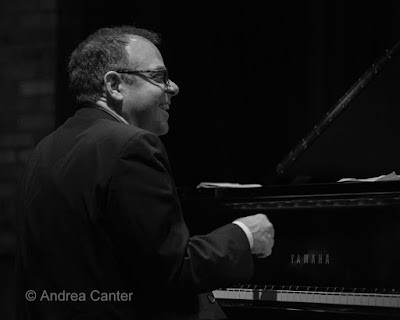 Lynch is a Grammy winner with a special fondness for Latin; Prado lived here for a while and taught at McNally Smith, and has been performing around the Twin Cities for the past two weeks. All proceeds go to supporting the nonprofit Jazz Central Studios. 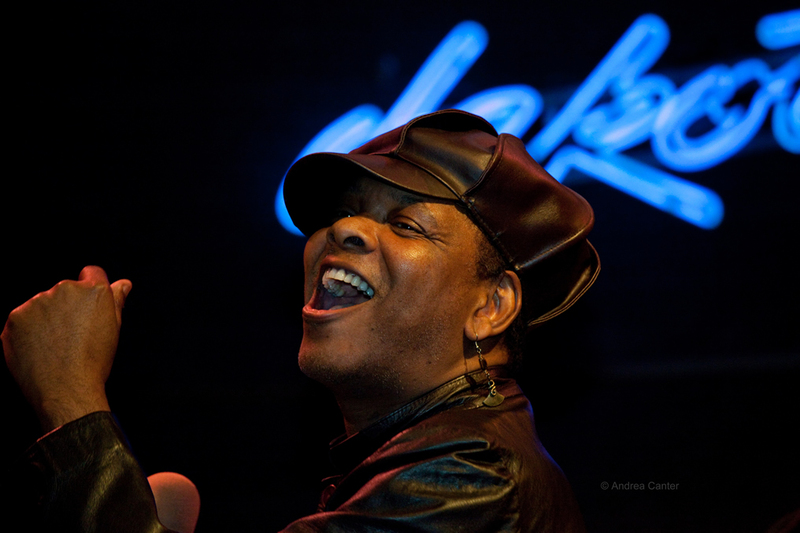 Another big event --vocalist Dennis Spears celebrates the big 6-0 with a party at the Dakota. Not only is that a big exciting voice to enjoy, but we can also anticipate that Dennis has some special attire for the evening and a lot of cool friends coming on stage. Saturday Night Jazz at the Black Dog features one of the too-rare appearances of the long-running quartet, How Birds Work, with Dean Granros, Peter Schimke and Kenny Horst joined by young lion bassist Ted Olsen. 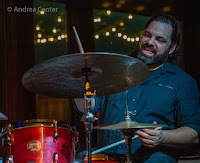 The early show presents a relatively new trio of veterans with two guitars-- Joel Shapira and David Martin join up with drummer Pete Hennig to form The Growlers. 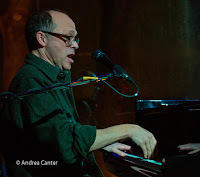 Sophia Shorai serenades at Hell's Kitchen, Bryan Nichols and Brandon Wozniak duke it out at the Icehouse (dinner sets), and there's one more month of Saturdays in the Lobby Bar with JoAnn Funk and Jeff Brueske, before their annual summer break. Sunday, May 1. 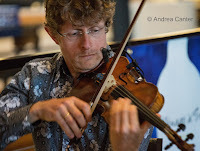 In their monthly afternoon slot at the Icehouse, Charanga Tropical is at it again, still celebrating their CD release and summer 2015 trip to Havana. 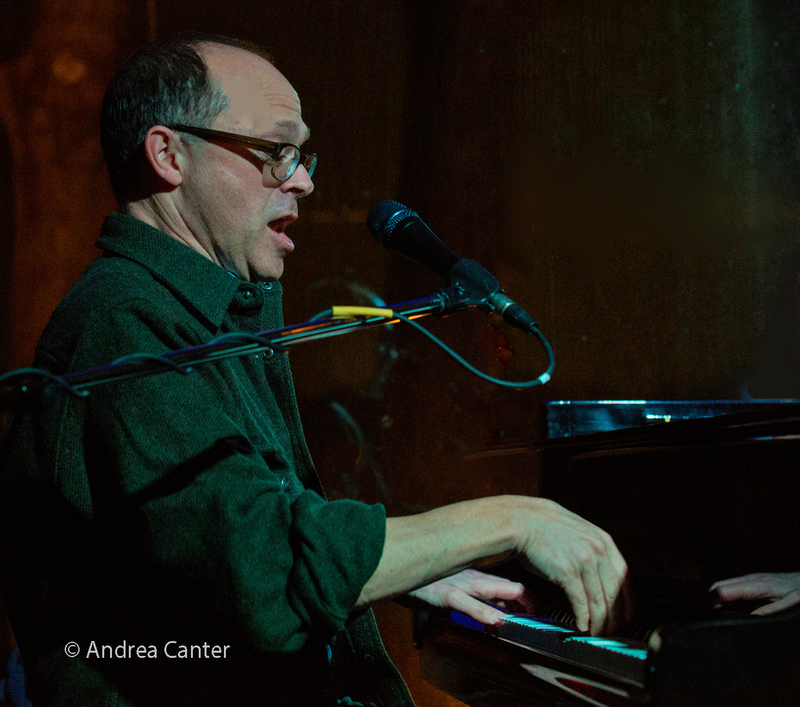 Start a new month with the Birthday Club-- Dan Chouinard hosts vocalist Jennifer Grimm in the Dunsmore Room at Crooners, with songs associated with musicians and songwriters with May birthdays. Monday , May 2. 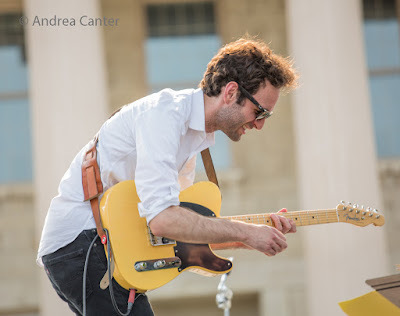 In addition to another round of the Growlers at Jazz Central, there's more guitar as hot club magician Sam Miltich joins forces with Dutch violinist Tim Kliphuis at the Dakota -- same duo that dazzled at the 2015 jazz festival. At Crooners Lounge, the Acme Jazz Company holds their monthly big band night. Also in the lounge, pianist/vocalist Lori Dokken starts her week of Happy Hour gigs. 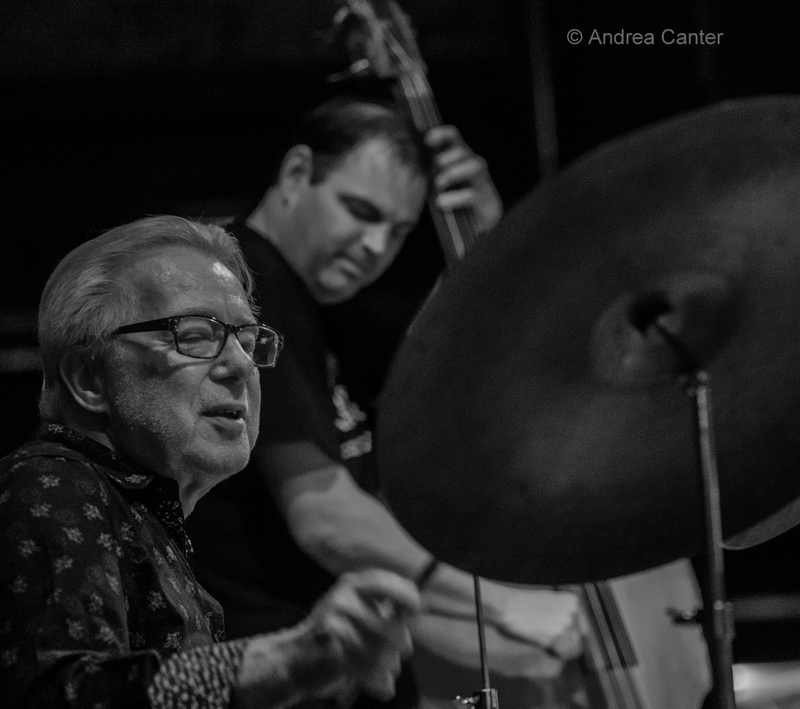 And for night owls, three major forces on the local jazz scene get together as the Regional Jazz Trio -- Anthony Cox, Mike Lewis and JT Bates burn the stage at the Icehouse for JT's Jazz Implosion. And this one will surely implode. Tuesday, May 3. 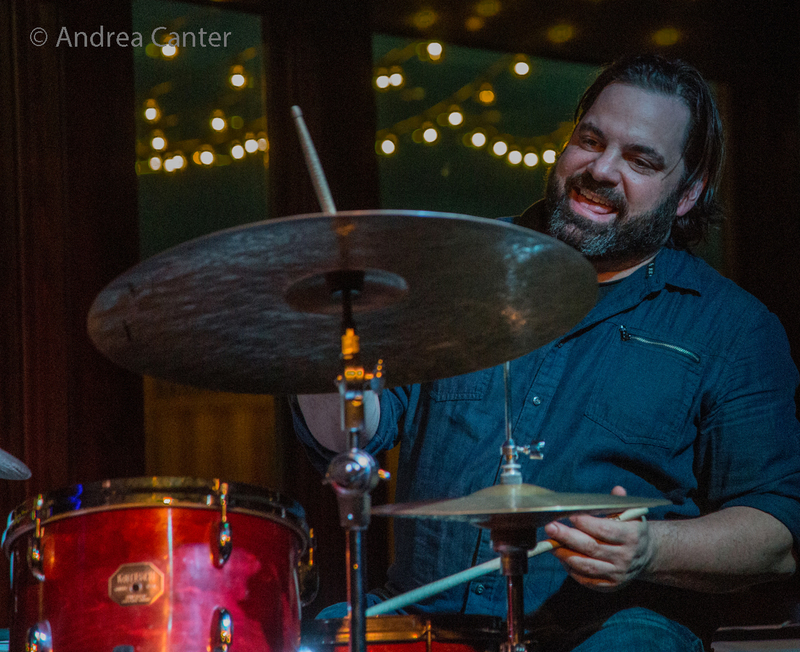 Big Band Tuesday at Jazz Central features the Bill Simenson Orchestra, while First Tuesday at the Black Dog brings together Dean Magraw and Davu Seru for some guitar/percussion hijinks. At Vieux Carré, Chris Lomheim opens the night on solo piano, followed by Fuzzy Math, that quartet dubbed the "best jazz band for people who don't like jazz." In the Dunsmore Room, it's another solo soiree with trad and stride pianist Butch Thompson, covering the full range of the Bosendorfer, probably offering a little clarinet as well, and of course his always entertaining commentary. And at the Dakota, another opportunity to hear Andres Prado, tonight reunited with his Minnesota cohorts (Pete Whitman, Peter Schimke, Jeff Bailey, Kevin Washington) as Mississippi. This ensemble was a marvel two weeks ago in the Dunsmore Room, and likely will really cut loose in the larger club space. Wednesday, May 4. 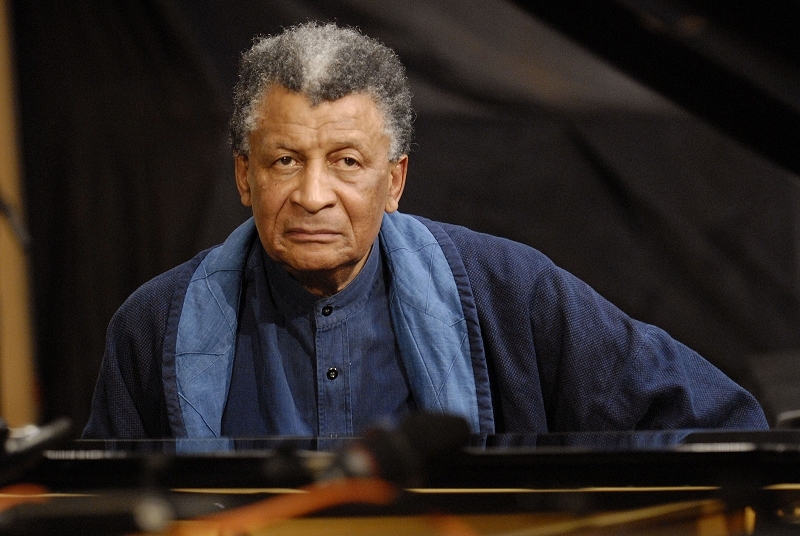 It's been at least a decade since South African piano master Abdullah Ibrahim has been in Minnesota. 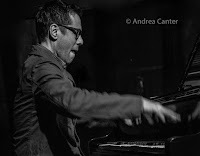 Tonight he brings his septet, Ekayah, to the Dakota for what will be an unforgettable evening of sublime piano and South African rhythms. At Hell's Kitchen, you can enjoy the Wolverines Trio. Thursday, May 5. After a month in exile, Friday Night Jazz at Reverie returns-- on Thursdays! (At least for one night, returning for the grand opening on May 19.) 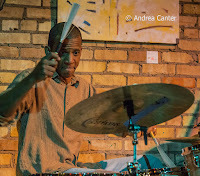 The "soft opening" of the series features a formidable trio of Davu Seru, Chris Bates and Brandon Wozniak. At Vieux Carré, Joel Shapira opens on solo guitar, followed by the intriguing ensemble, Rare Medium. And on Vocal Jazz Night at Jazz Central, Dorothy Doring will present what will surely be an eclectic set from her wide repertoire, from Ellington to pop favorites. There's a special event at the Walker Art Center. 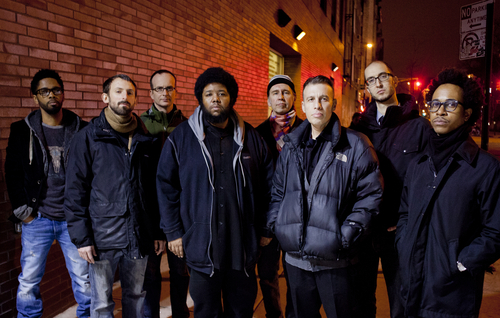 Renowned saxophonist Steve Lehman is in town with his octet, performing in the McGuire Theater on Saturday, but tonight join the award-winning composer and electronics wizard High Priest (aka HPrizm) on a walking tour of their favorite pieces in the Walker galleries, followed by a free live performance.